At StudioCraft, we combine standard office furniture with custom millwork to create designs uniquely suited to you. 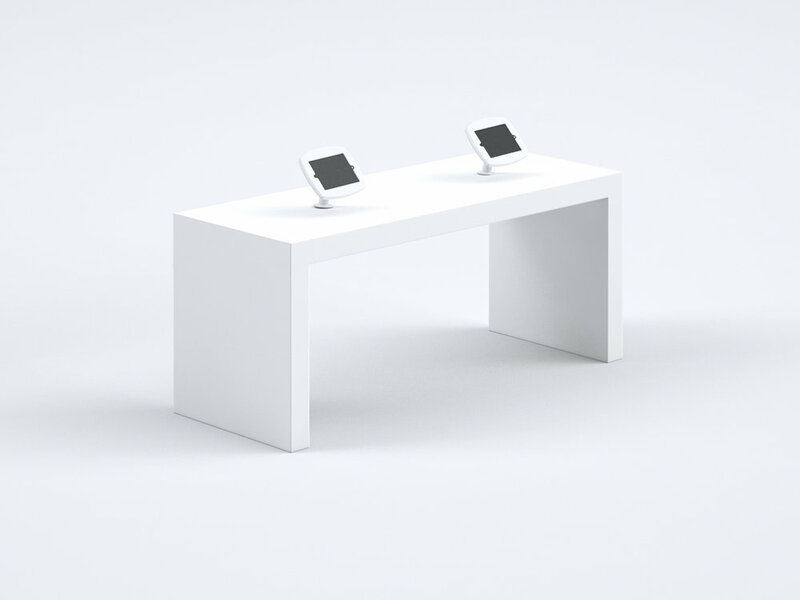 To create adaptable designs with streamlined power and data, we integrate the infrastructure of systems furniture into reception desks, transaction tops, and tables. Your possibilities for creating unique desks and tables for individual workspaces, conference rooms, and community areas are nearly infinite with the variety of woods we offer. Choose from height-adjustable legs or fixed-height options. Create a welcoming experience with our custom reception desks. An array of durable finishes give you options for expressing a brand. And, with seamless integration of power and data, working at one of our desks is as easy as sitting down and powering up. Define workspaces, help people focus, and give them a place to share ideas or work in progress with our tackable or writable divider screens. Have your own screens? We have brackets to attach them. Create welcoming healthcare environments with our custom reception desks and nurses’ stations. A variety of durable, cleanable finishes gives you options for outfitting your space with products that will hold up in demanding clinical environments. Make a statement at your next trade show or in a point-of-purchase display with our custom kiosks and signage for promoting your brand. From office to retail to healthcare environments, StudioCraft’s designs are popping up across the country. Creative fabrication is in our DNA. We’ve evolved from screen printing, to skateboards, to custom displays and furniture.